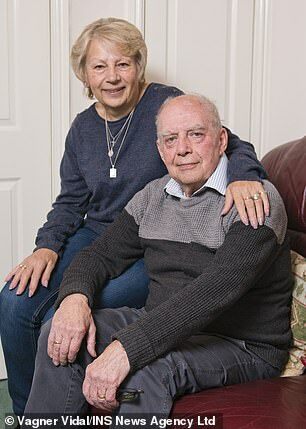 An elderly couple embroiled in a five-year campaign of jealousy to hound them out of their home have been saved by a generous neighbour who coughed up £180,000 of his own savings to buy their flat. Pensioners Geoffrey and Ruth Scott were celebrating today, Tuesday 1 January, after 89-year-old Raymond Hewitt purchased their property to end a rumpus which had torn apart a retirement haven. 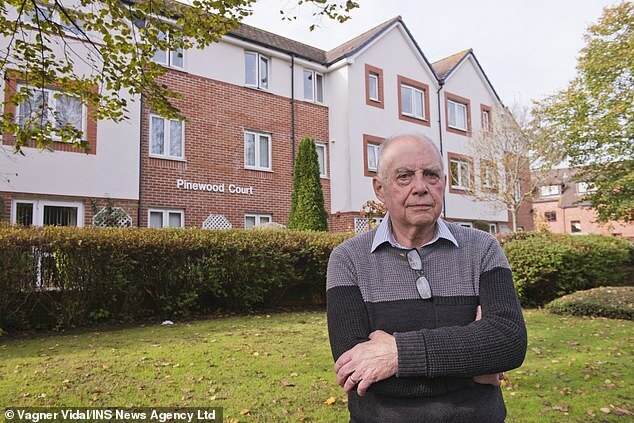 The OAP's have faced backlash because a handful of the residents objected to Mr Scott's kind spirit in setting up communal holidays, fish and chip suppers, games and activities for their neighbours. Matters came to a head before Christmas when several of Mr Scott's rivals were said to be behind a letter sent to his landlady, urging that his tenancy should not be renewed. Pressure was ramped up and Mr and Mrs Scott faced having to leave the home which had become their retirement bliss. However, an act of staggering generosity has saved the Scott's tenancy from under the management firm's nose, after Mr Hewitt, bought the £180,000 flat from Geoff's previous landlady and leased it back to the Scotts in a sensational, seasonal goodwill gesture of the home's appreciation. Mr Hewitt's purchase was completed just days before Christmas and has secured the couple's future at Pinewood Court. Mr Scott said: 'On the morning I received the letter from FirstPort, Ray and myself spoke about my impending departure and that afternoon he sprang it on me that he would purchase the flat and become my landlord. 'Through my tears I thanked him, while questioning his actions, saying he was mad, but also accepting the offer - as if by fate we had been advised that my landlady was looking at selling the flat and advised me two days before this letter! The couple also arranged another meeting with senior management at FirstPort in an attempt to iron out and build bridges following the bitter dispute but true reconciliation felt some way off for Geoff and Ruth. The bid to oust the Scott's from their home stemmed from 'the envious wrath' of a cluster of residents who resented the 75-year-old's attempts to create an enjoyable social life in the sedate but stale block of flats which Geoffrey jokingly nicknamed 'God's waiting room,' shortly after moving into Pinewood Court in Bournemouth, Dorset in October 2013.